Since 2005, JENNIFER has worked as a full-time real estate agent. She serves the entire St. Louis area including MO and IL. 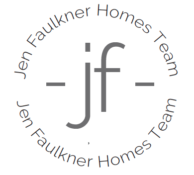 Jennifer and her partner Hannah formed the Jen Faulkner Homes Team in early 2015. This is a mother daughter partnership with experience in all aspects of real estate from first time home buyers, to luxury estate homes, to farm developments, as well as, relocation clients. Their expertise has brought many company awards and has consistently ranked them among the top agents. They have a proven track record of excellence, proficiency and integrity. In a field that constantly changes, they have integrated a cutting-edge approach to marketing, presentation, negotiation, and sales into their practice. They use modern technology to market creatively and resourcefully, maximizing information, advertising savvy, & effective negation skills. 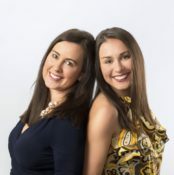 Jennifer and Hannah take their clients best interests at heart and this has earned them a extremely loyal client base. Jennifer has been a lifelong St. Louis area resident with children in public and private schools over the past 24 years. She started her work career as a Registered Nurse after earning her Bachelors Degree in Nursing. She completed 16 years working at St. Louis University Medical Center. Hannah is a Edwardsville resident and homeowner who attended both public and private schools in Edwardsville School District. Hannah earned her BS in Exercise Physiology from Kent State University where she was a D1 All-American Athlete. They are both members of NAR, IAR, and GGAR. Jennifer is a member of MAR and SLAR. They also specialize in corporate and military relocation and are certified to work with all relocation companies. Because….Results Mean More Than Promises! CALL Jennifer MO-(314) 527-0198 and IL-(618) 954-8099 OR Hannah IL-(618)363-8770! !